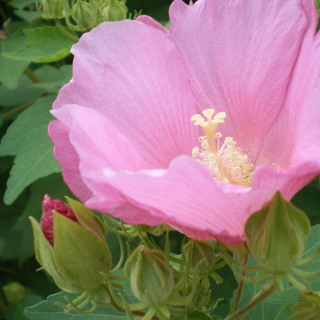 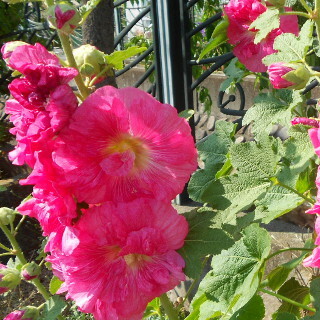 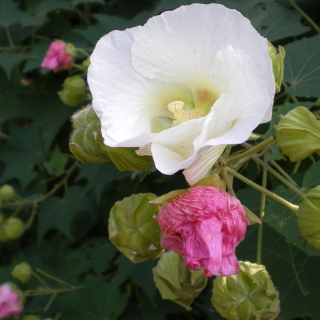 Cotton rosemallow blooms large flower. 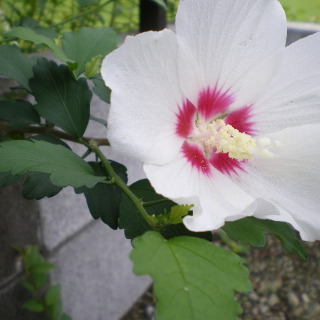 The colors are pink, white and purple. 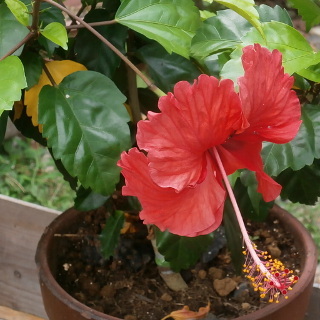 It is called Fuyoh in Japanese.